At Mendip, we stock a range of sliding patio doors for you to choose from, ensuring that you can find the door best suited to the look of your property and your needs. French doors are a great way to add an abundance of light to your property and open out your room to the outside. 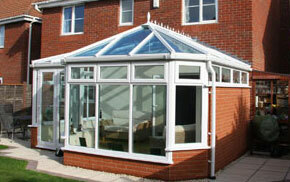 Available in either uPVC or timber effect, whatever your property’s style or needs there’s something for every taste. Choose doors with panels or large glass doors, in a range of colours and finishes. 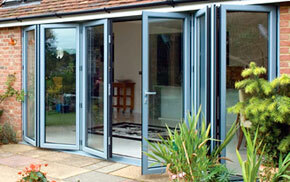 We also offer sliding patio doors. All of the doors supplied and installed by Mendip are rated between ‘A’ and ‘C’ on the BRFC scale for energy efficiency, for a warmer living environment and potential savings on your fuel bills. Our French doors and sliding patio doors are also fitted with excellent quality security hardware, making sure that your door gives you the greatest possible peace of mind. 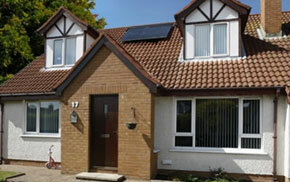 uPVC is one of the most popular choices for French doors and sliding patio doors. Energy efficient and easy to maintain, uPVC patio doors are great value and with a range of colours, styles and hardware to choose from, you’ll find a patio door for your home. If your property is in a conservation area and you need to maintain a traditional look to your property, a uPVC timber-effect door could be for you. Available in a variety of wood-grain finishes and fitted with high quality security hardware, a timber-effect door from Mendip is attractive and at the same time, incredibly stylish. 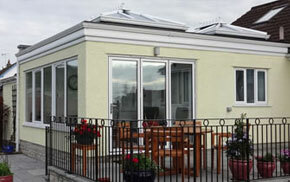 Aluminium is used in construction and architecture for its incredible strength and durability. 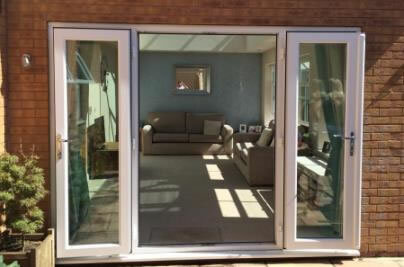 Aluminium patio doors can offer great aesthetics, with slim frames and large glass area, plus it’s the material of choice for many specialist doors such as bi-folds, patio doors and slide and swing doors. For a quality product with a simple installation, get in touch with Mendip Conservatories today by ringing us on 01934 877 666 or enquiring here. We supply and install French doors across North Somserset and the South West, including Clevedon, Portishead, Nailsea, Backwell, Congresbury, Weston-super-Mare and beyond.